my primary school friend is buying lunch the next day. so i thought i would make a banoffee pie so we can all share after lunch. 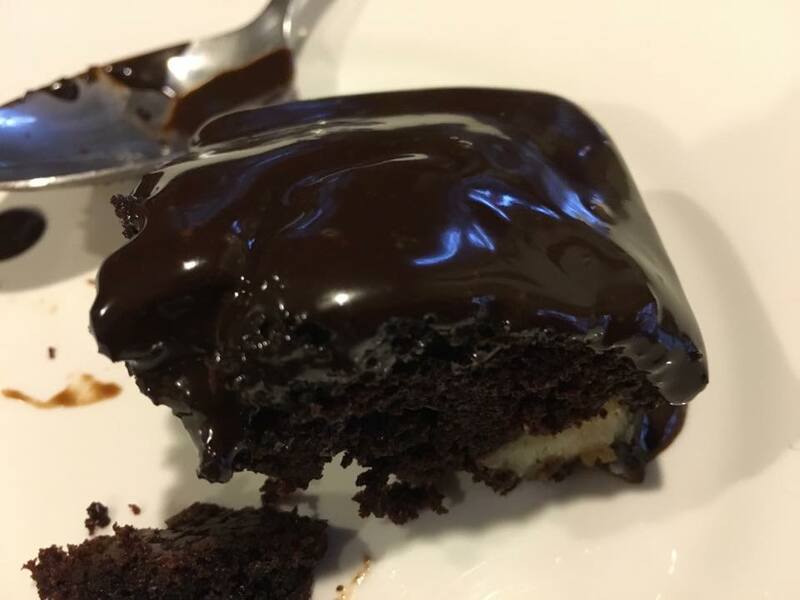 just happens that the conversation on group whatsapp was chocolate banana cake. 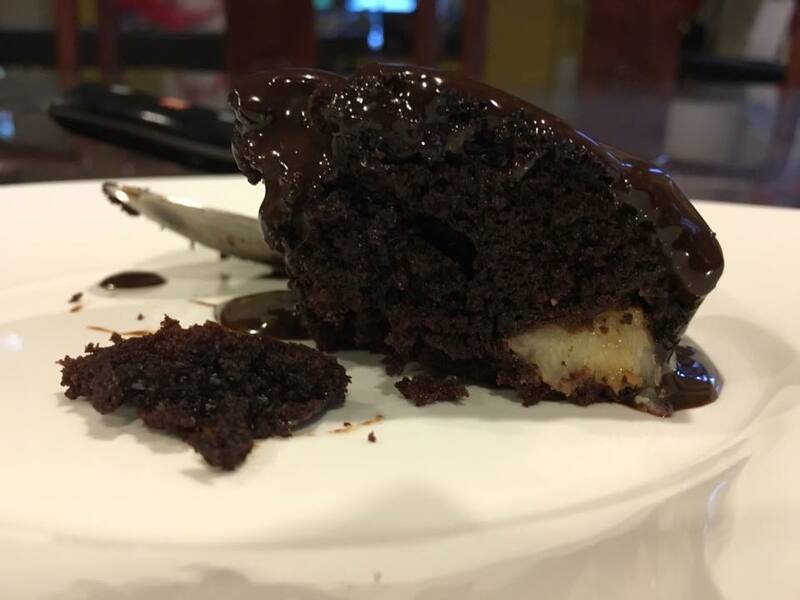 a friend had just taken that at awfully chocolate. i know cedele sells that too but have not tried it, and also secret recipe when i googled. 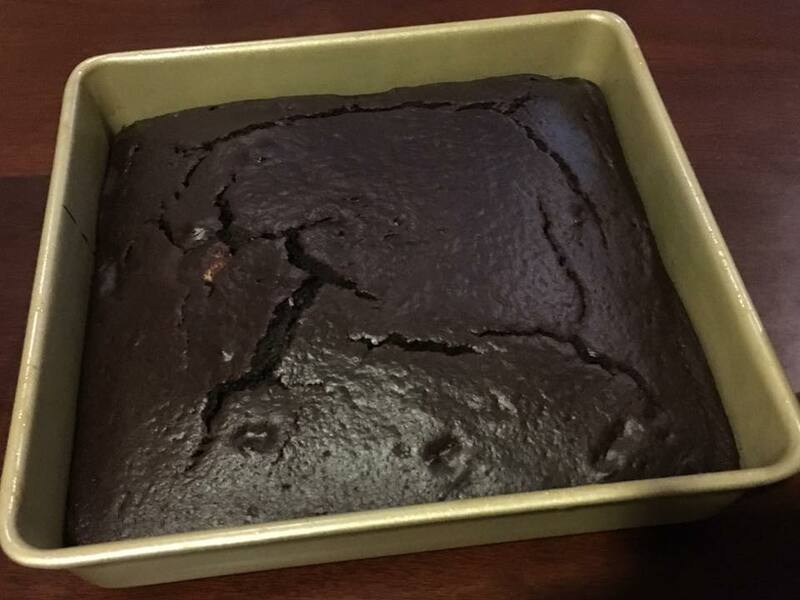 i found a recipe on joy of baking which i thought i can do. next was to go buy a cake tin & the ingredients like flour, baking soda, baking powder etc, all i didn’t have. 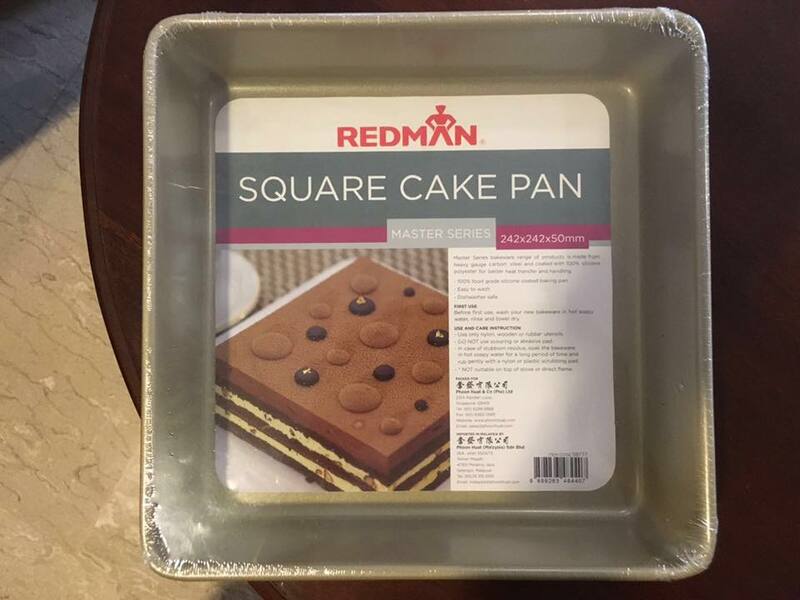 i bought a 10″ x 10″ cake tin from phoon huat, S$6.50. i just have to manage the sugar, as usually the western recipe has many times the sugar we like. 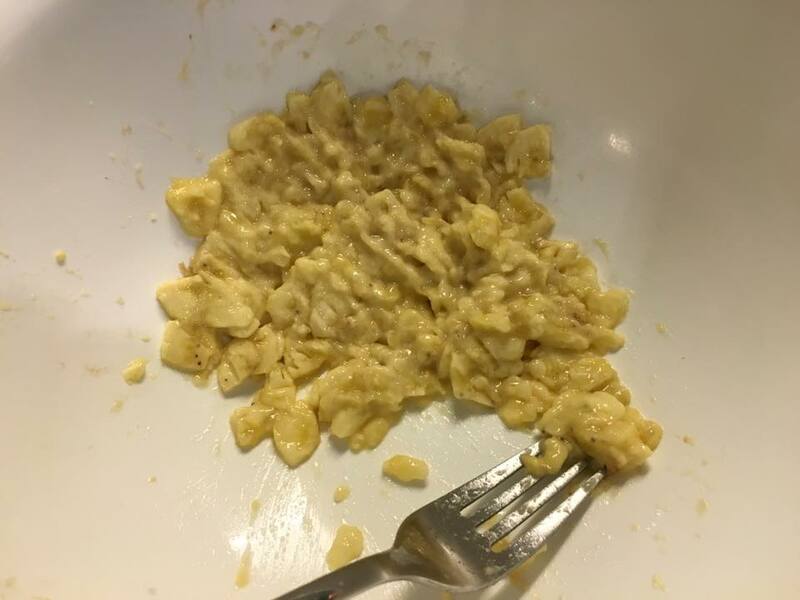 i mashed about 1.5 medium bananas & kept 1/2 for some banana chunks (not in recipe). i mixed 2 eggs, mashed bananas, 1 cup water (240ml), 1/2 cup milk (120ml), 1.5 tsp vanilla essence & 1/2 cup oil (120ml) in a large bowl, & whisked. 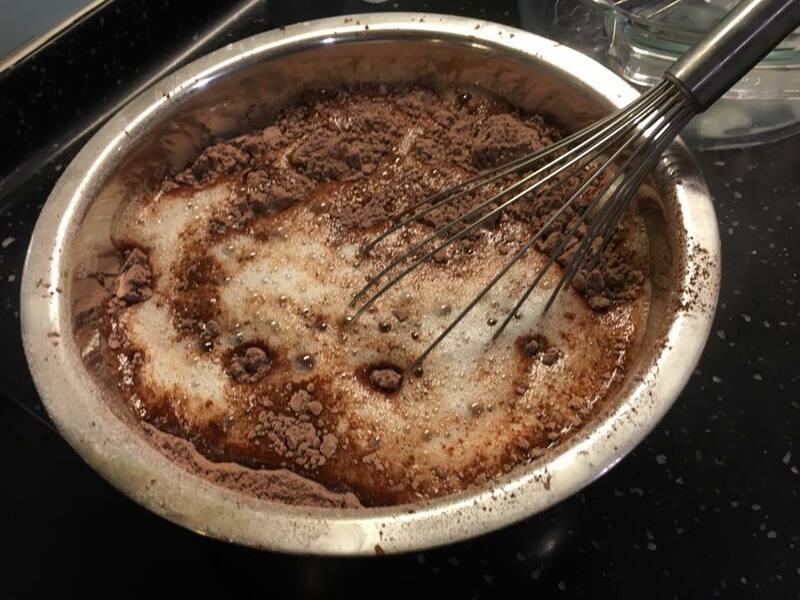 i sieved 1 & 3/4 cups plain flour (245g) & sieved 3/4 cup cocoa powder (75g) to a large bowl, added 5 tbsp sugar (75g), ! & 1/2 tsp baking powder, 1 & 1/2 tsp baking soda, 1/2 tsp salt & mix. i added the wet light mix to the dry mix. i made a big mistake though! i forgot that i should fold & not whisk! well for this time it didn’t matter that i whisked. as i said earlier, i tasted the cake mix before baking, so i added 2 tbsp more sugar, 1 tbsp at a time & guess what, i had to whisk la! so in the end no diff! i buttered the 10 by 10 cake tin & pour the cake mix in. baked for 40mins according to joyofbaking recipe instructions. 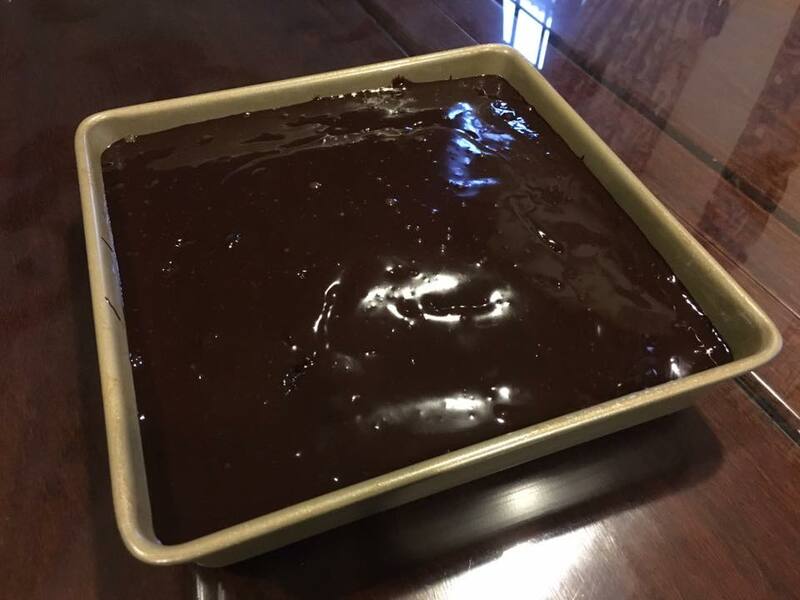 then i made the ganache. 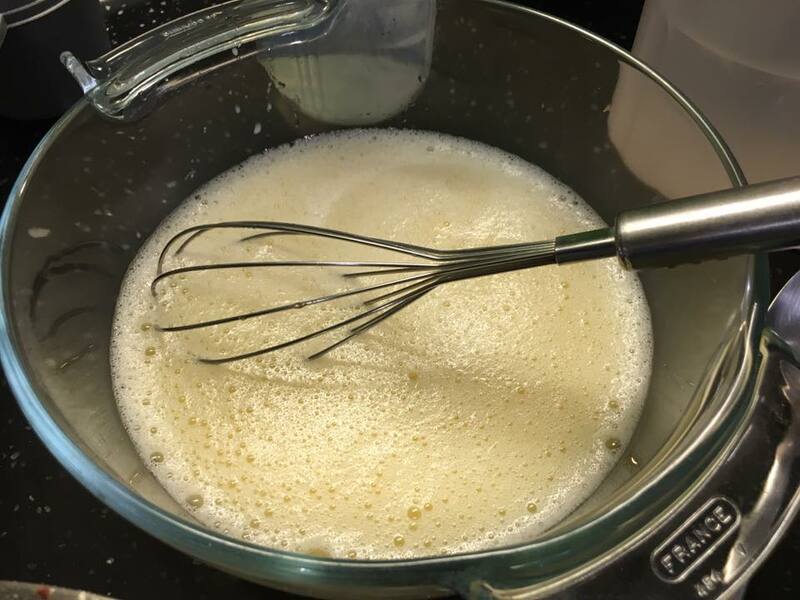 boil 180ml whipping cream with 1 tbsp butter (15ml). 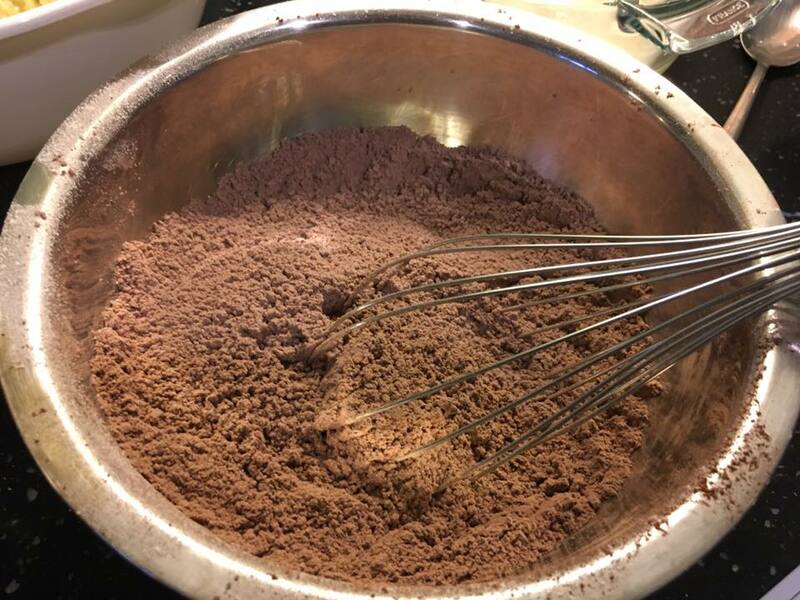 broke up 200g dark chocolate (i used cadbury) & whisked. 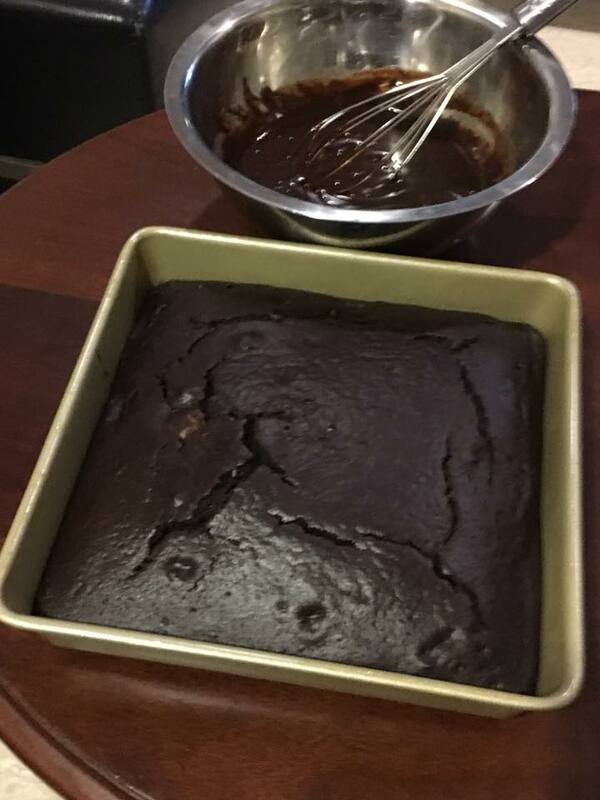 after the cake had cooled completely, i added the ganache frosting. 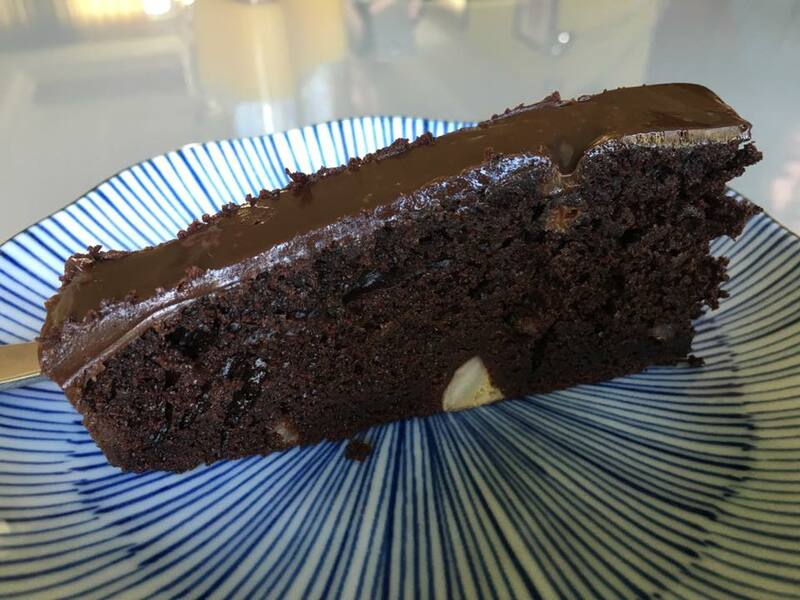 when i tested the cake, it was still warm & the ganache flowed a bit. ok but didn’t feel special. i put it in the fridge & tried the next day. what can i say? it was awesome leh! well it was pretty good la…chocolate cake standalone not really my favourite, but this was really jolly good. the ganache was specially good. the cake itself was dense but it was ok good. i may add a bit more bananas, but for me, this cake just like this was quite good enuf. mash 1.5 medium bananas & kept 1/2 for some banana chunks (not in recipe). mix 2 eggs, mashed bananas, 1 cup water (240ml), 1/2 cup milk (120ml), 1.5 tsp vanilla essence & 1/2 cup oil (120ml) in a large bowl, & whisk. add the wet light mix to the dry mix & fold, figure of eight motion. butter the 10 by 10 cake tin (or non-stick spray), placed the banana chunks on cake tin & pour the cake mix in. bake for 40mins according to joyofbaking recipe instructions. 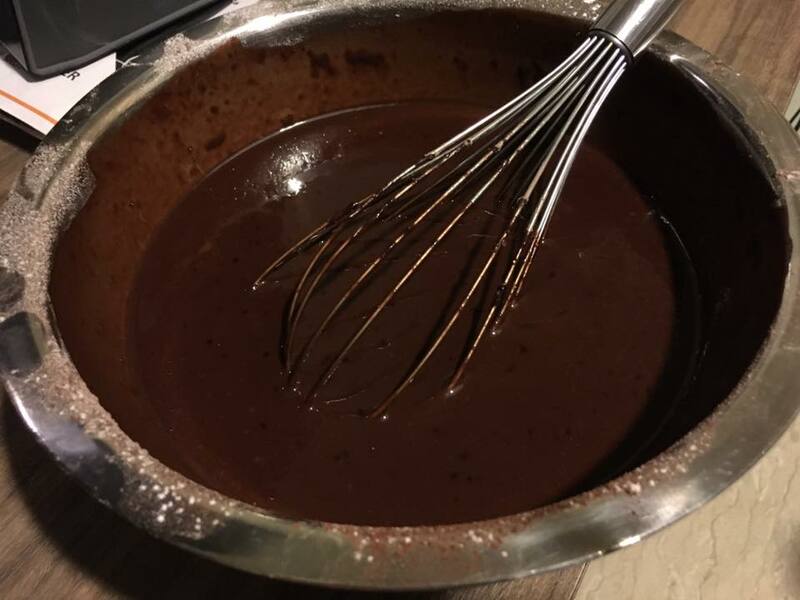 make ganache frosting – boil 180ml whipping cream with 1 tbsp butter (15ml). 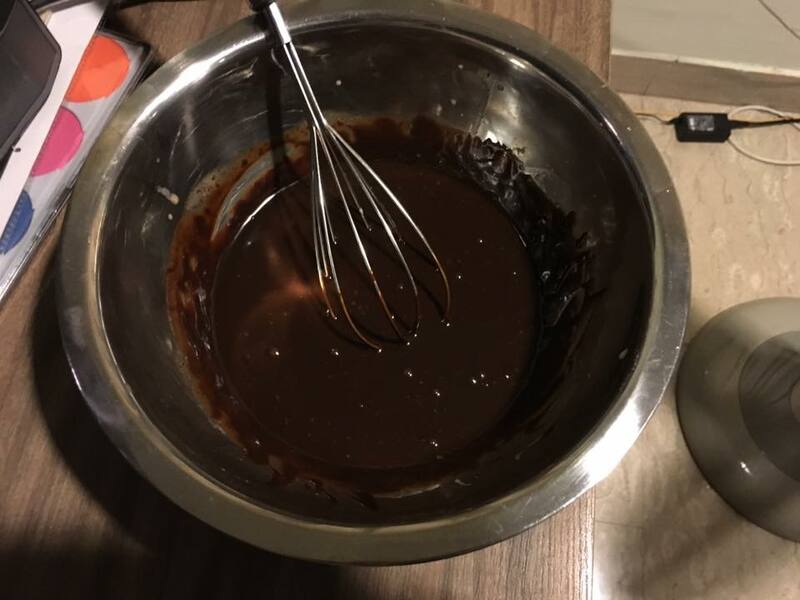 break up 200g dark chocolate (i used cadbury) & whisk. when cake is completely cooled, add the ganache frosting. voila! 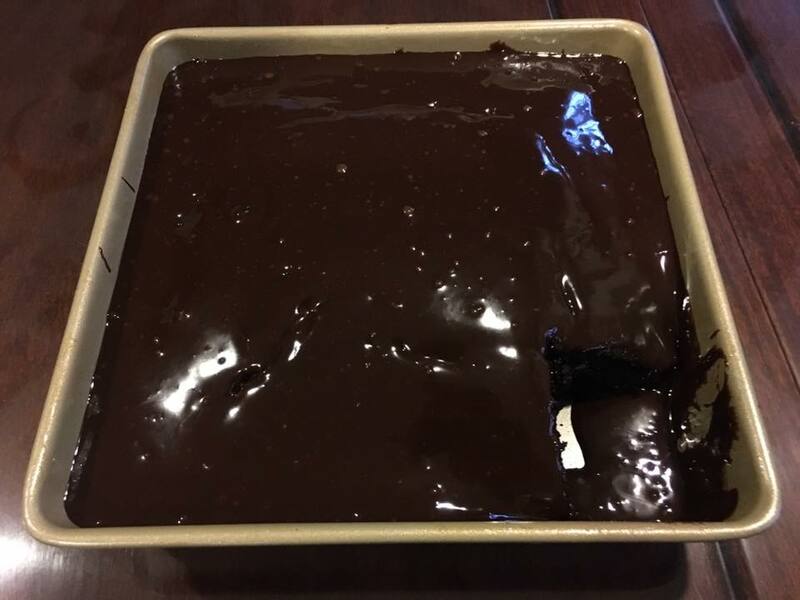 This entry was posted in Recipes and tagged 10" x 10" cake tin, 200g dark chocolate, awesome, awfully chocolate, banoffee pie, cedele, chocolate banana cake, ganache, group whatsapp, joy of baking, mashed banana, phoon huat, secret recipe, vanilla essence, whipping cream. Bookmark the permalink.